Some marketers are reluctant to schedule many social posts during the month of December, citing low usage by consumers and distraction during the holidays. Not true, Content Hackers! Consumers use social media all throughout the holidays. They log on to post pictures of family events. They get bored during ball games and scroll through their feeds. If they’re alone during the holidays, they log on to catch up with family and friends. So, it’s especially important to post relevant and contextual content that will make them happy. And, while you’re at it, you may even increase your traffic and drive leads. Here are some holidays that you should post about. Want to see even more December holidays? Check out PromoRepublic’s content calendar for post ideas for every day of the month. December 21, the first day of winter, is also the longest day of the year. Consider a visual campaign suggesting things to do to fill the long day. Ask your fans and followers if they have other tips. Also, consider a sale or promotion for December 21. It could be that users have a little last-minute holiday shopping to do, and a sale or promotion could push them into a purchase decision. This is effective for e-commerce companies AND brick and mortar businesses. The right offer could very well increase foot traffic into your establishment. Fun statistics about Santa’s projected delivery rates can spark the imagination and create a good conversation piece for your social audience. You can also appeal to their sense of nostalgia by asking about their favorite Christmas Eve memory, whether or not they open any presents on Christmas Eve, or their favorite shopping center Santa experiences. If you operate social accounts for a restaurant or brand that responds to food-related posts, Christmas Eve is a great time for a recipe post, as well. When you get people to interact with your posts on holidays, they can become customers all year round. Need holiday posts for all year? Try PromoRepublic today. Hanukkah starts on December 24th this year, so don’t leave it out of your social holiday posts. This high holiday is filled with rich tradition, so engagement in your posts is key. This post offers gift ideas for the eight nights of Hanukkah. You can encourage engagement by asking people what they plan to do to celebrate Hanukkah, or you can ask people about their favorite gifts from the holiday. If you want to offer promotions, try to think of eight different promotions, one for each night of the holiday, so that it can be like you’re giving your Hanukkah-celebrating audience a gift for each night of their holiday. 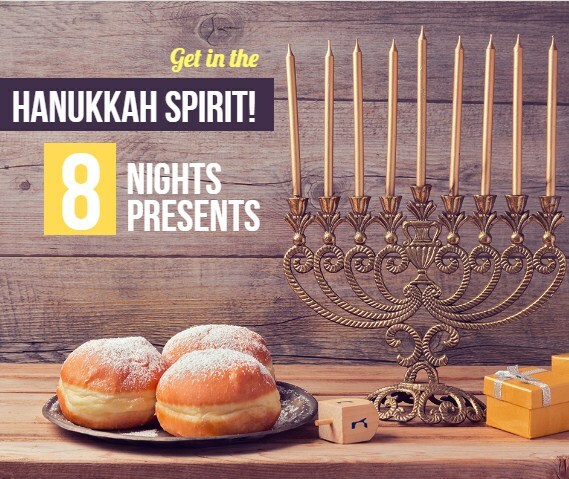 An 8-night holiday campaign for Hanukkah, done thoughtfully and beautifully, can earn business in the new year. This is a time to wish Happy Holidays to your social audience. 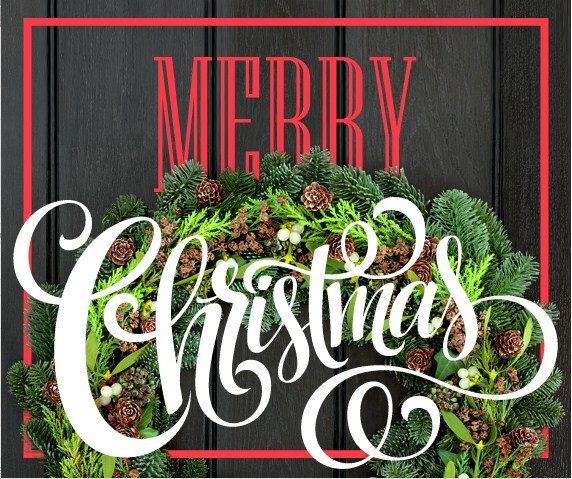 Depending on your brand guidelines, you may want to keep a generic stance, or go full out and wish people a Merry Christmas. People will be logging into social media to wish well to their friends and family, so it only makes sense for you to send holiday greetings from your brand. Try to stay away from promotional or sales-related posts on Christmas day, and merely wish happiness and health to the loyal people who interact with your brand socially on the other days of the year. 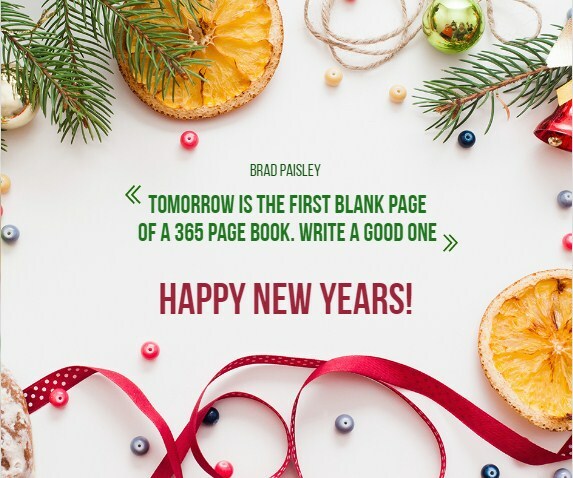 New Year’s Eve, the last day of the year, is a time for remembering, partying and ringing in the new year. It is full of opportunity in terms of social media posts. Inspirational posts, like the one above, spark the imagination and give people that excited feeling for a new start. But, along with new starts come opportunities. Why not ramp up engagement with a post that sparks engagement? Ask your social audience what their resolutions are. You can interact with them and offer solutions for their resolution list with your products or services. You can also conduct some sort of special promotion, like a midnight flash sale that will last until morning. 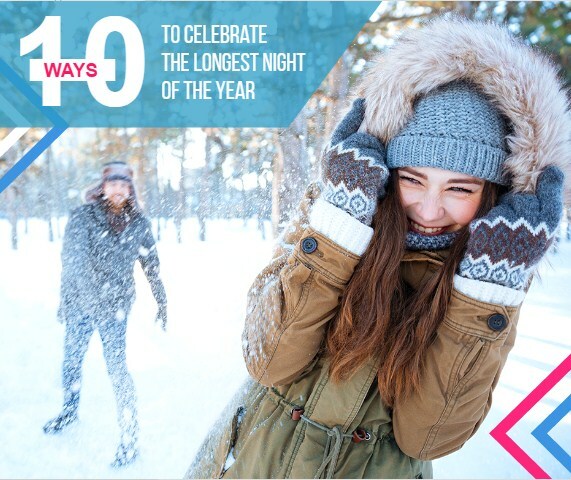 Another way to add value to your fans and followers is to create a New Year’s playlist they can listen to during their festivities. Set up a Spotify or YouTube channel, if you don’t have one already, and create a party for your audience. Do you have other suggestions for December social posts? Let’s hear them! Post them in the comments.